Make a difference and do something worthwhile! 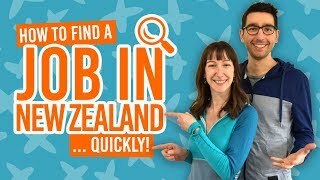 When you hear of volunteering on a gap year, perhaps New Zealand isn’t the first country that pops up in most people’s heads. Nonetheless, New Zealand has communities, wildlife and wilderness that need your help. Volunteer projects, such as volunteering with the Department of Conservation or going on a “voluntour”, only require you to commit to a day, a week or a month. 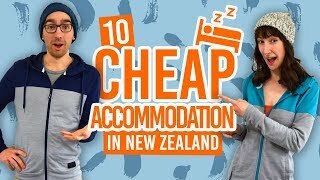 That makes it easy for us backpackers to incorporate volunteering into your New Zealand gap year, between working, travelling and WWOOFing, for example. Check out the list below for good reasons to volunteer during your gap year. To find some projects near you, browse the volunteer opportunities listed on our job listings page. Gandhi’s quotes make a good start to any list, right? But true are his words! Choose an organisation to volunteer for with values close to your heart and get that good feeling you have when you make a step towards change! 2. Do something different. Be a trail blazer! Add a bit of spice to your gap year! Instead of coming back home with the standard story of: travel, fruit-picking, travel, waiting tables, travel, etc. Add volunteering into the mix to set yourself apart from the rest. What better way to get away from the world than staying overnight on a pest-free island or somewhere deep in the New Zealand wilderness? The only background noise you’ll hear will be the tweeting of the birds and the crackling of the campfire. It’s the perfect time to reflect on the meaning of life, isn’t it? Break the mould of just moving from hostel to hostel and spending all your time with other travellers. Volunteering is one way to meet locals, as very often it is locals who run the volunteer programs and a lot of locals get involved in volunteering too. Become a part of their community and they will be sure to help you discover the area you are in. No, this is not an ad for the latest dating site. When volunteering, you’ll be surrounded by travellers and locals that want to better our world. Since you will be choosing which cause to support, you will get to spend time with people that believe in the same thing as you. That’s the perfect recipe for life long friendship, isn’t it? There is one thing that is sure when volunteering: you will get off the beaten track! Choosing to volunteer for eco-organisations or the Department of Conservation will open the door to some pristine locations. You’ll see spots of the country that very few travellers get to see or at least fully experience themselves. You’ll get to make the most of that special place. Let’s be honest. You REALLY want that kiwi bird picture. And kiwi birds are near impossible to find in the wild on your own. Many conservation groups monitor them and take volunteers to help them with their operation. (Like we did, check out our story here). Seeing the little creatures in their natural habitat is the greatest reward of them all after a long hard day of work maintaining pest traps. Travelling, and especially air travelling, is one of the most polluting industries in the world. A return flight from the US all the way down to New Zealand emits on average 2.5 tonnes of CO2. It’s 3.39 tonnes if you are flying from Europe. Work towards lowering your carbon footprint by planting some trees while you are here with a conservation group. New Zealand is the adventure capital of the world, but it is not all about bungy jumps, skydives and jet boats down here. We have a rich culture, awesome food and an amazing spirit to share with the world. Embrace the culture by helping us to keep it alive, which often involves a BBQ as a reward and celebration at the end of a volunteer day! Volunteering is involves learning about a great cause, new skills and the impact of one person’s actions on the rest of society and the world. Plus, dare we remind you that it looks very good on a CV? !